Cooking has been one of Arturo’s passions and through cooking he has found a connection to the tradition and history found in many of his books and short tales. In November, 2001, he founded elfogoncito.net initially as a way to keep Mamá Pura’s (his grandmother) tradition and recipes alive but it quickly became an online sensation and today it’s published also in English. The English edition is “DominicanHeat.com”. His cookbooks may be found at Amazon. From a cook apprentice side-by-side with his mother and grandmother, both Dominican traditional mastercooks, to researching and finding his own style, to food writing to being the most prolific and successful food writer in Dominican Republic’s History has certainly been a ride. Arturo remains humble and true to his origins, attends restaurant’s invitations, answers fan mails personally, cooks at events and frequently halts his day to chat with people at markets about food and recipes. Nielsen Bookscan registers daily sales of his books all over the United States from the most prestigious libraries, including Amazon Kindle and Barnes & Noble. 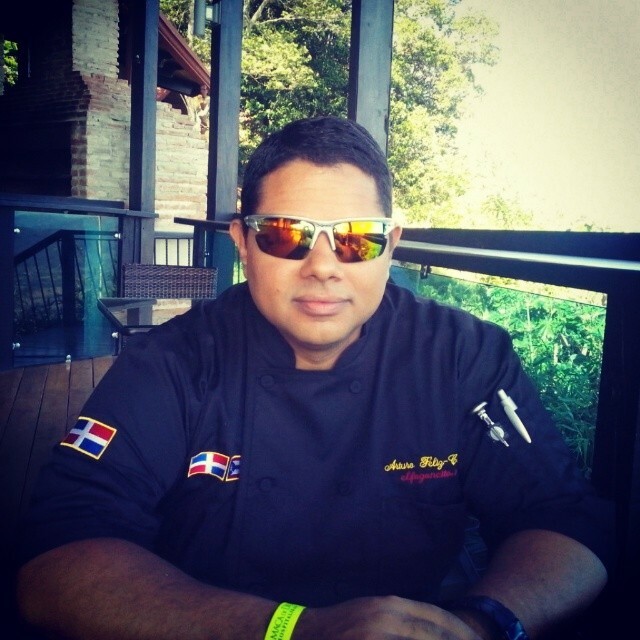 His “Diccionario Culinario Dominicano” was awarded Best Culinary Literature book of 2014 for Dominican Republic by Gourmand World Cookbook Awards.